The Québec electric-car group has set a new world record for plug-in electric cars gathered in one place. 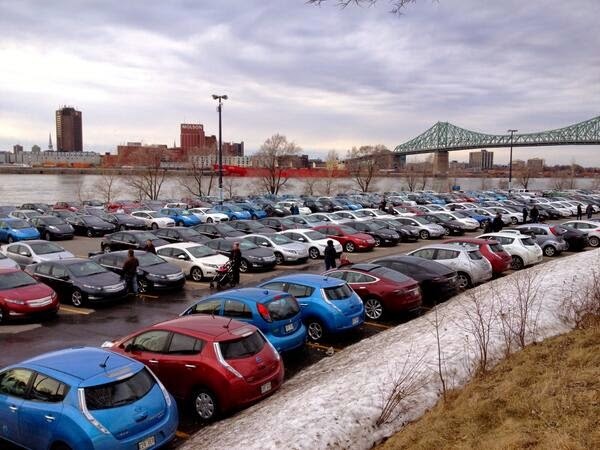 431 battery-electric and plug-in hybrid cars gathered in a car park near the Jacques Cartier Bridge along the Saint Laurence River, in Montréal Canada. The AVEQ also considered applying for the world record for quietest parade!